EYE CLINIC PHOTOS.....LOTS OF VALS TO VISIT! Tribute to Cinder Sign Guestbook Gaelen and Taliesen in Alaska! Mele & Owen's Pups Come visit Elmer again! 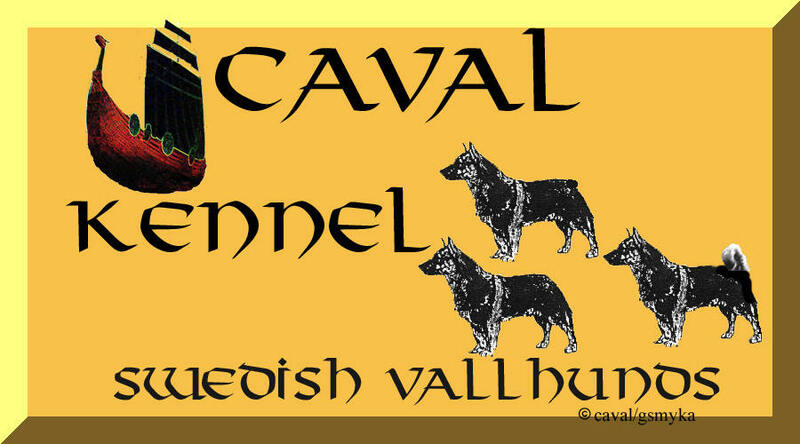 PROUD TO LIST WORLD WIDE SWEDISH VALLHUND SITES! Beautiful Poem about growing old with your dog! This site is completely owned and managed by Gail Smyka. I do this in gratitude to Cheryl Albert because I highly respect her and because she was the one who started me in SV's with my wonderful Boyz, Gaelen & Taliesen.